YES! 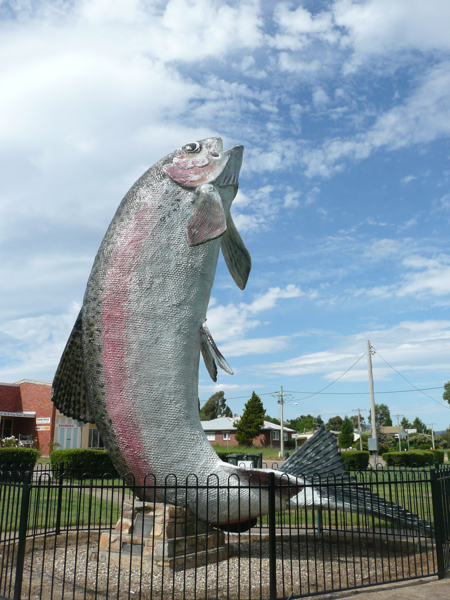 Our first Australian ‘big thing’ – ‘big things‘ are – well – big things that are scattered around Australia. Sounds strange eh? Actually this Pommie thinks it’s an AWESOME idea. Building useless big objects all around the country so tourists will come and see them. YES – COUNT ME IN! This entry was posted in Big Things, Places, Xmas 2010 Road Trip. Bookmark the permalink.